Everyone agrees that the world is accelerating. With advances in communication, transportation and information processing technologies, it is clear that the pace of events in global politics is speeding up at an alarming rate. The implications of this new speed however, continue to be a significant source of debate. Will acceleration lead to a more interconnected, productive, peaceful, and humane world; or a nightmarish descent into ecological devastation, economic exploitation and increasingly violent warfare? 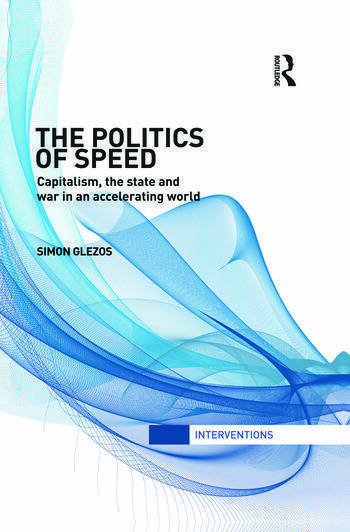 The Politics of Speed attempts to map the contours of the new global space of speed, and investigates key issue areas – including democratic governance, warfare, capitalism, globalization and transnational activism – to uncover the ways in which acceleration is shaping the world. The book uses contemporary political theory (especially the works of Deleuze and Guattari) to develop an ontological account of speed, showing how its effects are frequently far more complex and surprising than we might expect. The result is an attempt to craft a way of engaging with global acceleration that might help avoid the dangers of speed, while embracing the possibilities it provides us with to produce a safer, more egalitarian, democratic and pluralistic world. Simon Glezos is a limited term senior instructor at the University of Victoria, Canada.